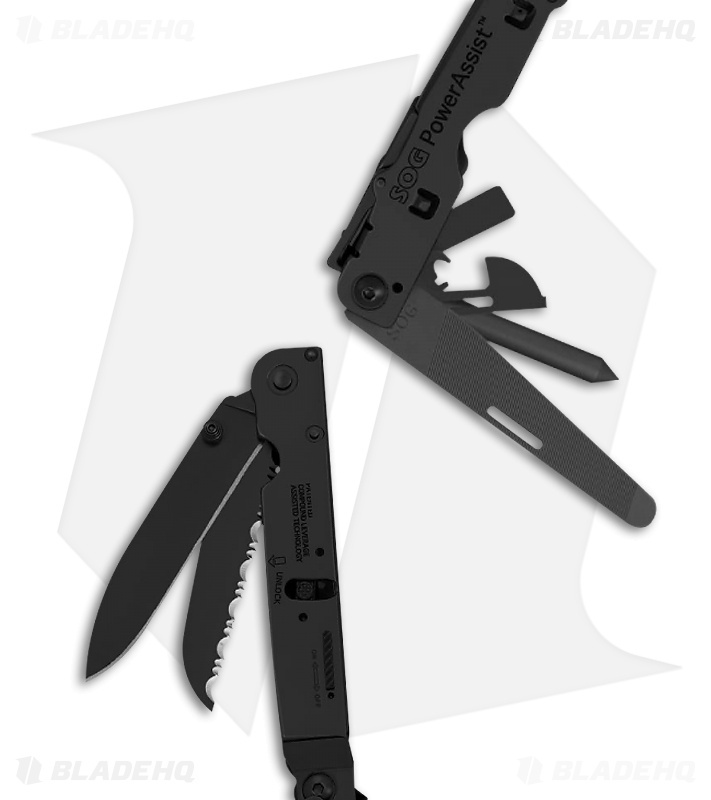 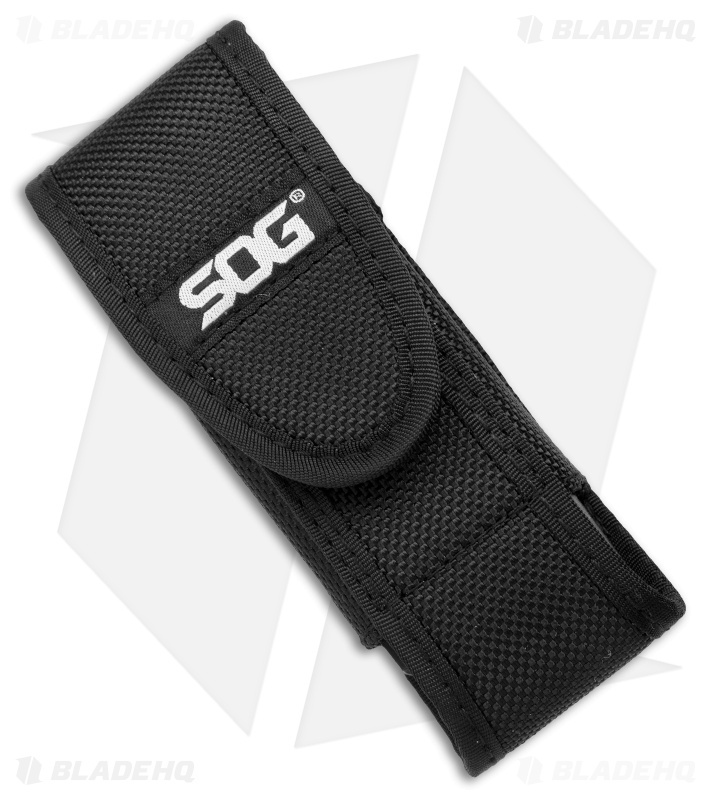 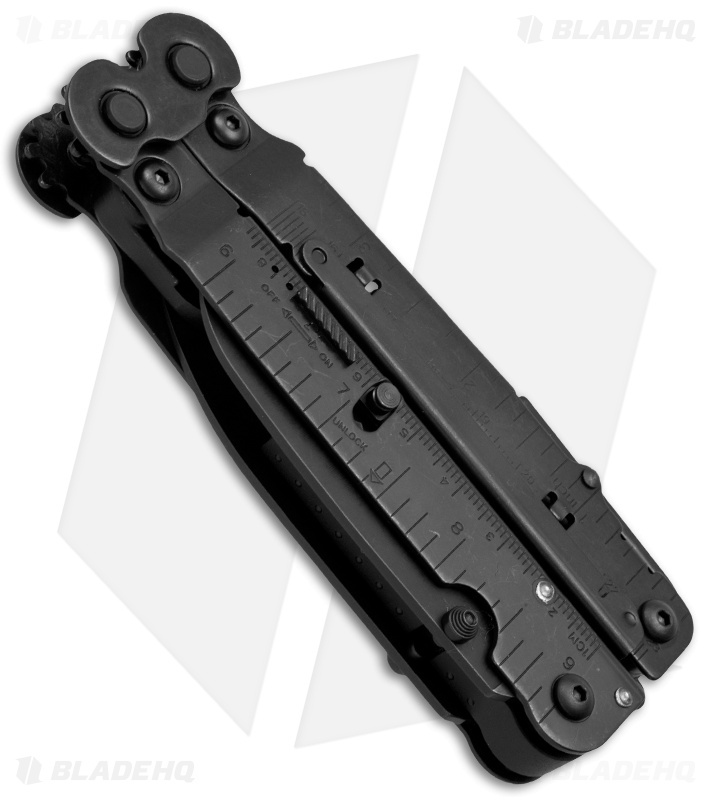 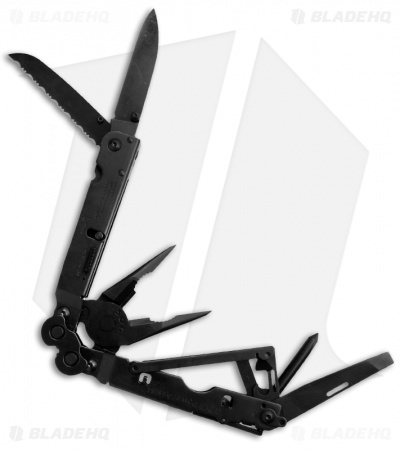 The PowerAssist is the first multi-tool to house not just one but two SOG Assisted Technology™ blades. Start to open the main blades, which are available when the main tool is closed, and S.A.T. takes over to complete opening. 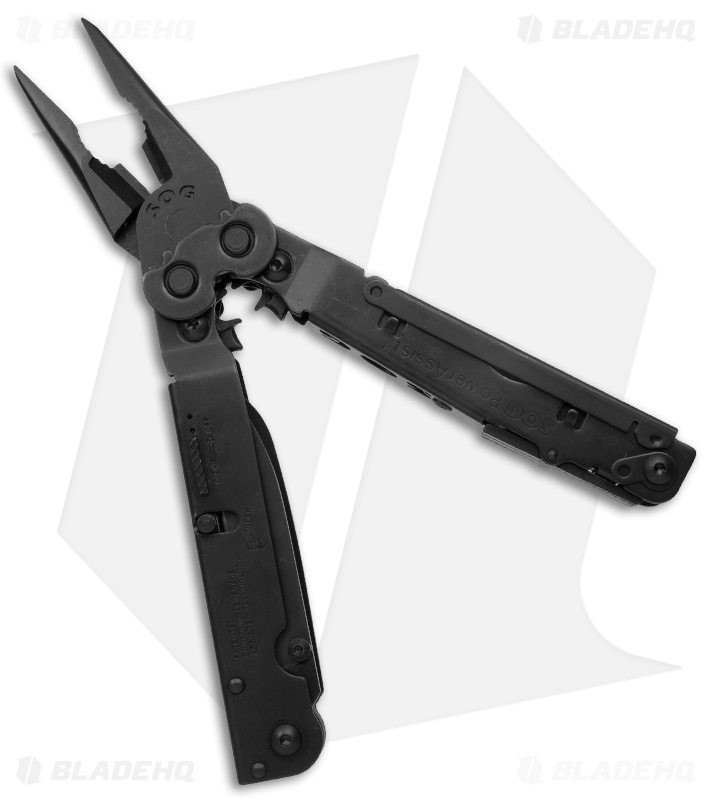 When not in use, these blades lock closed using our patent pending side release. Flip open the tool and experience the precision of the heavy-duty plier capability and large wire cutters. Smooth handle surfaces promote comfort on even the toughest jobs. While open, five other components are now available and individually lock open with the new patent pending Piano-Locks.You're going to love playing these keys! 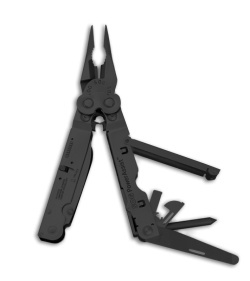 Also includes Compound Leverage™, gear covers, hex bolt construction, C4-Punch (also useful as a marlin spike, tool scribe and glass breaker), and built-in crimpers. Comes with a nylon case.